now that i’m finished with grad school, i want to get back into cooking actual meals again – it seems like all we ever have for dinner anymore is mac and cheese or pizza! so i’ve been on pinterest looking for new dinner recipes, and came across this one for “two-timin’ pasta” that includes marinara AND alfredo sauces! i love that it’s easy, filling, and makes a bunch of good leftovers to take to work for lunch. i have a feeling we’ll be making this one a lot! 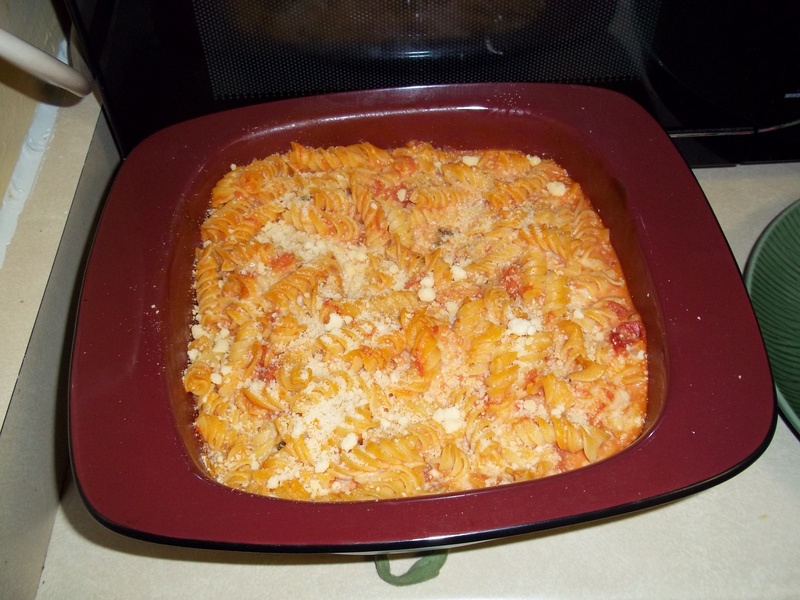 This entry was posted in Cooking and tagged cooking, main dish, pasta. Bookmark the permalink.